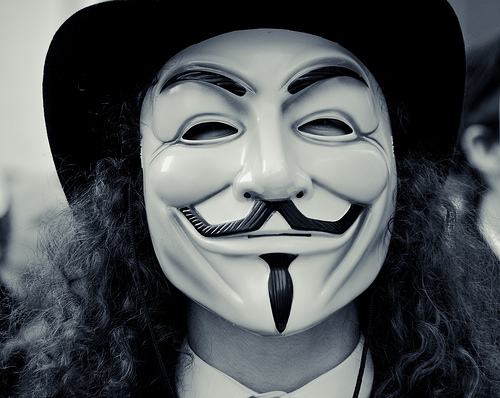 Anonymous has picked up where the recently disbanded LulzSec left off. The SENTINEL training program was designed for personnel in public safety, law enforcement, state and local government, and public utilities. Health care professionals and employees at colleges and universities were also trained in the program. Anonymous used its Twitter account yesterday to announce its intention to post data from the program on the Web, asking its followers if they were “ever interested in anti-cyberterrorism training.” Not long after, Anonymous published information on the program. According to Australia’s ABC, the files, which were apparently published in 2009, include information on publicly available hacking resources and lists of FBI bureau addresses. The data also includes information on “hacking and counter-hacking tools,” as well as form letters that could be used to obtain user information from Internet Service Providers, the ABC is reporting. The latest data release from Anonymous comes just two days after its fellow hacking group LulzSec announced that it had disbanded. The group said in a statement on Saturday that it had planned to operate for just 50 days with the ultimate goal of putting people on notice. The SENTINEL release is a continuation of AntiSec. Following LulzSec’s disbandment, the group’s members joined Anonymous and continued their operation. WordPress has had similar problems in the past, including an occasion when a fake “new” version was rolled out with a backdoor in it. Meanwhile Dropbox, the digital locker service, has had to face the fact that it broke its own authentication system for four hours on Tuesday – which meant that anyone could log in to anyone else’s account. Dropbox says that it thinks only 1% of people logged into accounts in that time, though of course it doesn’t know if they were the ones who were meant to log in to them. Many people might say “no harm done – all that’s happened is that someone might stick some files in your Dropbox.” Yes, or read them. Or, as someone suggested, stick a malware-infected file in. It’s a bad lapse for Dropbox. There’s enough hacking going on as it is without this.